Different Folk will be performing from 2:30-10pm. No cover charge! Come celebrate Katherine's birthday and the launch of "The Legacy Project: Feed a Body, Feed a Soul". Katherine is raising money to record a Christmas album with proceeds from sales being donated the the local food banks. Special guests will include Derrick Miller, Different Folk, Tom Richards and SONAS. Monetary donations will be collected at the concert. Join Different Folk in an evening of Celtic/Maritime music. York Early Music Ensemble performing at the Fredericton Baroque Music Festival. The festival will take place a the Christ Church Cathedral. Collegium Musicum performing at the Fredericton Baroque Music Festival. The festival is taking place at the Christ Church Cathedral. York Early Music Ensemble performing as part of NewBEMF in St. Andrews, NB. The concert will be held at the All Saints Anglican Church. Tickets will cost $10 and be sold at the door. Different Folk will be performing as part of the Pioneer Days celebration. Katherine performing as part of the Fredericton outdoor summer concert series. Different Folk performing at the annual River Jam event at the Delta Hotel in Fredericton, NB. Katherine performing at the summer concert series in Hazen Park, Oromocto, NB. In case of rain the concert will be held in the Hazen Centre. It's Lobster Palooza at the Delta Fredericton's DIP Patio! This lobster dinner on July 11th is sure to be a real East Coast Party. The event is in support of the Canadian Cancer Society. Advance tickets are not required and there is no cover charge. For details, call 451-7929. Katherine performing baroque music with harpsichordist Susan Toman and soprano Dawn Bailey at the Christ Church Cathedral. Katherine and Tom performing at the Lougheed Pub in Harvey. $5 cover charge. Katherine and Tom Richards performing at the Hollywood Star Room at 1560 Route 690 Clarks Corners, Ripples, NB from 9:30pm-12:30am. Entry by donation - suggested $5 per person. Different Folk will be performing at the Creek View Restaurant in the Village of Gagetown, NB (38 Tilley Road). Tickets cost $12 and can be reserved in advance by calling (506) 488-9806. Katherine and Tom making their debut performance in Saint John at Taco Pica, located at 96 Germain St. No cover charge! Performing at the Lougheed Pub and Eatery in Harvey, NB. $5 cover charge. Katherine performing in the variety show "Home for the Holidays" to help raise money for the Oromocto Food Bank. This concert will be held at the Base Movie Theatre at CFB Gagetown, Oromocto, NB. $10/person. Come celebrate the launch of "Greensleeves & Puddin' Pies" at the Charlotte St. Arts Centre on Friday, November 29th at 7:30pm. Special guests will include Skip Holmes (guitar), Danny Crain (bass), and the Moller Music Minstrels. Free-will offering will be accepted at the door. All proceeds will be donated to the food bank. Katherine performing with the Lintuhtine Choirs in "A Christmas Story". Monetary donations to the Oromocto Food Bank will be accepted at the door. Oromocto United Church, Oromocto, NB. Katherine performing with the Lintuhtine Choirs in "A Christmas Story". Monetary donations to the Oromocto Food Bank will be accepted at the door. St. Andrews Presbyterian Church, Fredericton, NB. Katherine, Carolyn Holyoke and Susan Kennific performing with the St. Thomas Singers at the STU Chapel in Fredericton, NB. Katherine and string quartet playing Charpentier's "Mess de Minuit pour Noel" with the Bel Canto Singers. Christ Church Cathedral, Fredericton. $15/adult, $10/student, $30/family. Katherine performing with the Harvey Ecumenical Choir at the St. Andrews Church in Harvey, NB. Katherine and tom Richards performing at Taco Pica at 96 Germain St. from 7-10pm. Katherine performing as a guest with Classical Country at the Marysville Heritage Centre. Show starts at 7:30pm. Tickets are $10 at the door. Katherine and Tom Richards (guitar) performing at the Fredericton Society of St. Andrews Ceilidh at the James Joyce Pub in Fredericton, NB. The fun starts at 8pm, Katherine and Tom will grace the stage from 9-10pm. Katherine will be performing in the pit orchestra for the Islandview Conservatory of Music's staging of Purcell's opera "Dido & Aeneas" at 6pm at the Kingswood Lodge. The Friday night gala include dinner and costs $75/adult, $50/child. Tickets are available at Tony's Music Box in Fredericton. Katherine will be performing in the pit orchestra for the Islandview Conservatory of Music's staging of Purcell's opera "Dido & Aeneas" at 7:30pm at the Kingswood Lodge. $30/adult, $20/child. Tickets are available at Tony's Music Box in Fredericton. Katherine will be performing in the pit orchestra for the Islandview Conservatory of Music's staging of Purcell's opera "Dido & Aeneas" at 1pm at the Kingswood Lodge. $30/adult, $20/child. Tickets are available at Tony's Music Box in Fredericton. Katherine and Tom Richards return to Katherine's home venue of the Lougheed Pub in Harvey, NB. Found at 3 Hanselpacker Lane, this establishment provides a cozy atmosphere with great pub food. $5 cover charge. Come celebrate St. Paddy's Day with Celtic band Different Folk! Come enjoy good food and music between 4:30 and 11pm at the Lunar Rogue in Fredericton, NB. Celtic band Different Folk will be performing during the fundraising ceilidh for the Oromocto Pipe Band at the Burton Lions Club. Katherine and Tom return to Taco Pica (96 Germain St., Saint John, NB) for an evening of great music and food! No cover charge. Katherine and Tom Richards perform your favourite fiddle tunes at the Lougheed Pub in Harvey. Come enjoy and evening of upbeat fiddle music and great food! Katherine Moller will be a featured performer in the Canada Day variety show held at the Lions Club in McAdam, NB. Different Folk performing in the annual River Jam event in DJ Purdy's at the Delta (225 Woodstock Rd.) in Fredericton, NB. Different Folk will perform an afternoon show in the lovely Brundage Point River Centre located on Ferry Road in Westfield, NB. Celtic band Sugar Island will be performing in Bath, NB. Location TBA. Katherine performing with Celtic band Sugar Island in the Oromocto Summer Concert Series held at Hazen Park in Oromocto, NB. Rain venue is the Hazen Park Centre. No charge. Katherine performing with the Celtic band Sugar Island in the Christ Church Cathedral (168 Church St.) in Fredericton, NB. Donations accepted at the door. Katherine and Tom Richards performing at the Nashwaaksis Commons in Fredericton, NB. Rain date: August 11. No charge. Katherine performing with the Collegium Musicum of the Early Music Studio Saint John at the Saint John Arts Centre (20 Peel Plaza). Admission by donation. 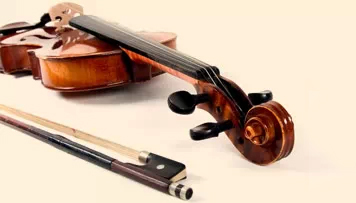 Enjoy the music of Mozart and other classical composers performed by the NB Summer Music Festival Chamber Orchestra at Officers' Square in Fredericton, NB. Join Katherine and Tom Richards for an evening of music at Taco Pica, located at 96 Germain St. in Saint John, NB. Artist appreciation welcome! Join Katherine and Tom Richards for an evening of fiddle music and great food! We'll be playing from 7-9pm. There is no cover charge, but artist appreciation is always appreciated! Katherine and Tom Richards will be playing for the grand opening of the Creek Village Gallery and Cafe at 119 Connell St in Woodstock, NB. Different Folk performing at the Relay for Life at the River Valley Middle School, Grand Bay-Westifield. Tangled Traditions (Katherine Moller, Carolyn Holyoke, Tom Richards) performing in Officers' Square for a free outdoor concert in Fredericton, NB as part of the Cultural Expressions Festival. Different Folk will be performing at River Jam again this year! Join us on the patio at 9:30pm. Lots of great bands on four different stages! Delta Hotel, Fredericton, NB. Katherine will be performing in this summer concert with guitarist Skip Holmes. Other acts include Julien Robichaud, Melissa Gallant and Nathan Carragher & Katie Kerr. These concerts take place at the Mont-Carmel Parish Hall (5786 Route 11, Mont-Carmel, PEI). $10/adult, $8/member, $4/student. Tangled Traditions (Katherine Moller, Carolyn Holyoke, Tom Richards) performing in Officers' Square for a free outdoor concert in Fredericton, NB. Rain date: Monday, July 27th. Collegium Musicum (Katherine Moller, Sara Liptay, Katie Bestvater, Tim Blackmore) performing a concert of baroque music at the summer concert series at the Christ Church Cathedral. Admission by freewill offering. The Katherine Moller Trio performing at the kick-off party for the NB Highland Games at Government House in Fredericton, NB. Tangled Traditions (Katherine Moller, Carolyn Holyoke and Tom Richards) performing at the NB Highland Games at Government House in Fredericton, NB. Different Folk performing at the NB Highland Games at Government House in Fredericton, NB. Tangled Traditions (Katherine Moller, Tom Richards and Carolyn Holyoke) performing at Victoria Park in New Maryland as part of a free outdoor concert series. Rain venue: Victoria Hall. Katherine Moller and Tom Richards (guitar) performing at the Nashwaaksis Commons in Fredericton NB as part of an outdoor concert series. Rain date: August 17. Tangled Traditions (Katherine Moller, Tom Richards and Carolyn Holyoke) performing at the Bath Meeting House in Bath, NB. Admission TBA. Katherine will be performing with the band Free to Grow in the Galaxie Rising Star Competition at the Harvest Jazz and Blues Festival. The competition takes place at Barracks tent at the corner of Carlton St. and Queen St. in downtown Fredericton. Admission is free. Sadly, due to an injury in the band, we are having to cancel this concert for the time being. "A Christmas Concerto" A concert of music from the 18th Century featuring the new group Ensemble 18C, formed of Tim Blackmore (recorder), Katherine Moller (violin) and Robert Lewis (bassoon). Saint John Arts Centre, Saint John, NB. Admission TBA. Katherine performing with Different Folk as part of the Irish Heritage Festival concert. Other performers will include Comhaltas Saint John and Adam McIntyre. Fund raised will be used for the Cathedral Restoration Project. Cathedral of the Immaculate Conception, 91 Waterloo St., Saint John, NB. Admission by donation. Come enjoy a lunch time concert and the launch of the Saint John Early Music Festival. Music will be provided by Ensemble 18C (Katherine Moller - baroque violin, Tim Blackmore - recorder, Robert Lewis - baroque bassoon). Saint John Arts Centre, 20 Peel Plaza, Saint John. NB. Free admission. Katherine will be performing with Different Folk in "A Musical Tour of Ireland". In support of the Irish Canadian Cultural Association of NB, this concert will feature music from around Ireland. Special guests will include the Sharon Stanford School of Irish Dance. The Playhouse, 686 Queen St., Fredericton, NB. Admission - $27. Different Folk will be performing at the Lunar Rogue again on St. Paddy's day! Come enjoy the music while partaking in a pint or two! Lunar Rogue, 625 King St., Fredericton, NB. No cover charge. Come support Katherine's new CD on March 26th at the Marysville Heritage Centre (11 McGloin St., Fredericton, NB). Get a sneak peek of new music alongside some familiar tunes! Entrance by donation. Ensemble 18C (Tim Blackmore - Recorder, Katherine Moller - Baroque Violin, Robert Lewis - Baroque Bassoon) performing music from the 18th Century at Parkland Quispamsis. 19 Shannex Dr., Quispamsis, NB. No cover charge. Ensemble 18C (Tim Blackmore - Recorder, Katherine Moller - Baroque Violin, Robert Lewis - Baroque Bassoon) performing music from the 18th Century at Parkland Riverview. 822 Coverdale Road, Riverview, NB. No cover charge. Different Folk performing at the Oromocto Pipe Band Fundraising Ceilidh at St Francis of Assisi in Lincoln, NB. Ensemble 18C (Tim Blackmore - Recorder, Katherine Moller - Baroque Violin, Robert Lewis - Baroque Bassoon) performing music from the 18th Century at Parkland in Fredericton. 35 Patience Lane, Fredericton, NB. No cover charge. Ensemble 18C (Tim Blackmore - Recorders, Katherine Moller - Baroque Violin, Robert Lewis - Baroque Bassoon) performing at Loyalist House. 120 Union St., Saint John, NB. Ensemble 18C (Tim Blackmore - recorder, Katherine Moller - Baroque violin and Bob Lewis - Baroque bassoon) will perform at Gallery 78, 796 Queen St, Fredericton, NB. $20/adult, $15/senior, $5/student. Ensemble 18C (Tim Blackmore, recorder; Katherine Moller, baroque violin; Robert Lewis, baroque bassoon) performing trios by Mozart, Haydn, JC Bach, and Abel. Trinity Church, 1622 Rte. 124, Springfield, NB. Admission byFreewill Donation. Katherine will be performing a solo show at S. Anne's Court. 81 Duncan Lane. Fredericton, NB. Different Folk will be performing as part of the Cultural Expressions Festival at Officers' Square. Come enjoy performances from various cultural groups as well as lots of ethnic foods! Free admission. Different Folk will be performing at the Unity Park Outdoor Concert Series in Grand Bay-Wesfield. Rain or shine, free admission! Katherine will be performing at the Farmer's Market in St. Andrews, NB. Katherine will be performing at the annual Canada Day show at McAdam High School. Ensemble 18C performing at the Saint John Arts Centre Summer Concert Series. Tim Blackmore - Recorder, Katherine Moller - Baroque Violin, Robert Lewis - Baroque Basson. 20 Peel Plaza. Admission by donation. Different Folk is delighted to be taking part in the annual River Jam event! Funds raised will be donated to local school programs! We will be on the Patio at 9:45pm, but the event runs from 4:45pm. Tickets $20. Delta Hotel, 225 Woodstock Dr., Fredericton, NB. Katherine and Tom Richards (guitar) performing traditional and original music as part of the Summer Concert Series at the Nashwaaksis Commons. Free admission! Rain date - Monday, August 29. Katherine and Tom Richards (guitar) will be playing for Happy Hour at Parkland on Patience Lane in Fredericton. Ensemble 18C (Tim Blackmore/baroque recorder, Katherine Moller/baroque violin, Robert Lewis/baroque bassoon) will be performing a programme of baroque and classical music at Parkland in Riverview. Entrance free of charge. Katherine and Tom will be playing for Happy Hour at Parkland on Patience Lane in Fredericton. Entrance free of charge. Join Katherine at Shannex as she plays for Happy Hour this February 10th! Directed by Leigh Rivenbark, St. Thomas University’s Musical Theatre Class presents Chicago: a tale of fame, justice, and crime set deep within the wild and roaring 1920’s. Former chorus girl Roxie Hart finds herself in a load of trouble when she is put behind bars for the murder of her now ex-boyfriend Fred Casely. Unable to talk herself out of her problems for the first time in her life, she is forced to rely on the help of those around her, all of whom seem to be in it for themselves in one way or another. With the aid of her fellow convicts, her beleaguered husband, and a fast-talking lawyer, Roxie begins to understand that in the city of Chicago, murder is entertainment. And she may become the biggest act they’ve ever seen. TICKETS – $20ADULTS, $15 STUDENTS. TICKETS AVAILABLE AT THE DOOR. TO RESERVE TICKETS, EMAIL musicaltickets@stu.ca OR CALL (506)452-0528. The 2017 Saint John Early Music Festival launch event celebrating the music of Telemann and Vivialdi. Music will be performed by Ensemble 18C and Collegium Musicum. Free of Charge! Different Folk (Katherine Moller - fiddle, Will Toner - guitar, Don Leblanc - bass, Kim Moller - bodhran) will be performing at the Lunar Rogue through the afternoon and evening. No Cover Charge! Ensemble 18C (formed of Katherine Moller - baroque violin, Tim Blackmore - baroque recorder, and Robert Lewis - baroque bassoon) will be performing at Parkland Riverview. Free of charge. 822 Coverdale Rd, Riverview, NB. Ensemble 18C, formed of Katherine Moller - baroque violin, Tim Blackmore - baroque recorder, and Robert Lewis - baroque bassoon, will be performing a concert celebrating the loyalist settlement of Saint John, NB. Admission by freewill offering. 87 Carleton St, Saint John, NB. Atlantic Ballet is pleased to partner again with Symphony New Brunswick to present Carmen. Passion, Seduction, and revenge set to the iconic score of Bizet & Shchedrin. Tickets: $40 Adult, $15 Student. Imperial Theater, 12 King Square S, Saint John, NB. Ensemble 18C will be joined by Joel Verkaik - baroque oboe, Jonathan Addleman - harpsichord, and Katie Bestvater - baroque cello to perform a concert of music by Vivaldi and Telemann. Tickets: $25 Adults, $20 Seniors & $10 Students. Saint John Arts Centre, 20 Peel Plaza, Saint John, NB. Collegium Musicum, formed of Katherine Moller - baroque violin, Hok Kwan - baroque violin, Tim Blackmore - harpsichord, and Katie Bestvater - baroque cello, will perform a concert of music by Vivaldi and Telemann. Tickets: $25 Adults, $20 Seniors & $10 Students. Saint John Arts Centre, 20 Peel Plaza, Saint John, NB. The Academy of Saint John, formed of Katherine Moller - violin, Ali Leonard - violin, Stephen Mott - viola, Tim Blackmore - harpsichord, and soloist Dani Sametz, will perform a concert of music by Vivaldi and Telemann. Tickets: $20 Adults, $15 Seniors & $5 Students. Saint John Arts Centre, 20 Peel Plaza, Saint John, NB. Atlantic Ballet is pleased to partner again with Symphony New Brunswick to present Carmen. Passion, Seduction, and revenge set to the iconic score of Bizet & Shchedrin. Tickets: $40 Adult, $15 Student. Capitol Theatre, 811 Main St, Moncton, NB. Atlantic Ballet is pleased to partner again with Symphony New Brunswick to present Carmen. Passion, Seduction, and revenge set to the iconic score of Bizet & Shchedrin. Tickets: $40 Adult, $15 Student. Fredericton Playhouse, 686 Queen Street Fredericton, NB. Katherine and Tom Richards (guitar and vocals) will be performing at the Creekview Restaurant (38 Tilley Rd, Gagetown, NB). Enjoy an evening of favourite traditional pieces alongside original Celtic compositions. Tickets $10. Join Katherine Moller (fiddle) and Tom Richards (guitar) for an evening of music at the Creekview Restaurant (38 Tilley Road, Village of Gagetown). Enjoy a mix of well-known Old Time fiddle tunes, traditional Celtic music and original pieces from Katherine’s new CD “Storm Queen”. Saturday, June 3, 7:30pm. Tickets are $10. Call (506) 488-9806 to reserve your ticket. Different Folk (formed of Katherine Moller - fiddle, Kim Moller - bodhran/vocals, Will Toner - vocals/guitar, Don LeBlanc - bass) perform at Freddy Beach RibFest. Capital Exhibit Centre, 361 Smythe St, Fredericton, NB. Join Katherine and Fredericton's Finest String Quartet, Tom Richards (guitar) and Kim Moller (bodhran) to release her new CD "Storm Queen". Katherine will perform original compositions from her new CD along with well-known favourites. If you love fiddle music, this will not be an evening to miss! Catholic Church St. Andrews (212 Parr St, Saint Andrews, NB), 7:30pm. Tickets $15. Different Folk (Katherine Moller - fiddle, Kim Moller - bodhran and vocals, Will Toner - guitar and vocals, Don LeBlanc - bass) will be performing in the summer concert series at Unity Park in Grand Bay-Westfield, NB. Rain or shine! Free admission. Different Folk will be playing at Hazen Park in Oromocto, NB for Pioneer Days! Different Folk is pleased to be performing at River Jam again this year! Join us and about 30 other bands at the Delta Hotel, 225 Woodstock Rd., Fredericton, NB. Katherine joins the Jon Fidler band in an evening of singer-songwriter music at Victoria Park in New Maryland, NB. Free admission. Katherine Moller and Tom Richards (guitar) will perform an evening of traditional and original Celtic and Old Time fiddle music. Free admission. Rain date - Monday, July 17. Katherine will be performing at the St. Andrews Farmers market. Katherine and Mark Fisher (guitar) will be playing for happy hour at Parkland Shannex in Fredericton (35 Patience Ln, Fredericton, NB). Free admission. Katherine Moller will be performing at the East Point Farmers' Market at the East Point Shopping Centre in Saint John. Collegium Musicum, formed of Katherine Moller - baroque violin, Hok Kwan - baroque violin, Tim Blackmore - harpsichord, and Katie Bestvater - baroque cello, will perform a concert of music by Vivaldi and Telemann. Location TBA. Join Katherine Moller and Tom Richards (guitar) for an evening of traditional and original Old Time and Celtic fiddle music. No admission. Rain venue - Hazen Centre, Oromocto, NB. Katherine Moller will be performing in Oak Lane near the Capitol Theatre in Moncton, NB. Katherine Moller will be joined by Tom Richards (guitar) and Kim Moller (bodhran) for the NB Highland Games. Ceilidh Tent. 51 Woodstock Rd, Fredericton, NB. Different Folk (formed of Katherine Moller - fiddle, Kim Moller - bodhran/vocals, Will Toner - vocals/guitar, Don LeBlanc - bass) will be performing at the NB Highland Games. Ceilidh Tent. 51 Woodstock Rd, Fredericton, NB. Katherine will be performing at the Cultural Market in the Cultural Centre located at 28 Saunders St, Fredericton, NB. Katherine Moller and Tom Richards will be performing at the Creek Village Cafe. 19 Connell St, Woodstock, NB. Admission by donation. Katherine Moller and Tom Richards will be performing at the Saint John Festival of Sail! Katherine will be performing in the orchestra for the St. Andrews Summer School Gala Concert. The concert will take place at the Sir James Dunn Academy School in St. Andrews. Katherine Moller will be joined by Tom Richards (guitar), Kim Moller (bodhran) and a string quartet to present an evening of original music from her new CD "Storm Queen". Free admission. Rain date: Monday, August 28. Different Folk will be performing in the Beer Garden at the Everest Curling Challenge, being held at the Willie O'Ree Centre in Fredericton, NB. Symphony NB will be performing a concert of light classical music at the Kingsbrae Garden in St. Andrews, NB. Katherine will be performing with the Jon Fidler band at Grimross Brewing. Show starts at 8pm with an opening act. The Jon Fidler band will take the stage from 9:20-11pm. 600 Bishop Dr, Fredericton, NB. $10/person. Ensemble 18C (Tim Blackmore - recorder, Katherine Moller - baroque violin, Robert Lewis - baroque bassoon) will perform a varied concert of music from the baroque and classical periods. Riverview Parkland, 822 Coverdale Rd, Riverview, NB. Free Admission. Katherine and Tom Richards will be performing at a house concert in Fredericton, NB. Contact Katherine for more details. Katherine and Mark Fisher will be performing at Happy Hour at Shannex Parklan in Fredericton. 35 Patience Ln, Fredericton. Free admission. Join Katherine Moller, Tom Richards (guitar), and Kim Moller (bodhran) in a Celtic Christmas celebration! They will be joined by special guests Carolyn Holyoke (piano) and Wicked Cry (Celtic trio) throughout the evening. Wilmot United Church (473 King St, Fredericton, NB). $20/adult, $15/students, $10/children 12 and under. Katherine and Mark Fisher will be performing at Happy Hour at Shannex Parkland in Fredericton. 35 Patience Ln, Fredericton. Free admission. The Altantic Sinfonia will be performing at Mem Hall in Fredericton, NB. Join Celtic band Different Folk at the Creekview Restaurant (38 Tilley Rd, Village of Gagetown, NB) for an evening of Celtic music and song! Tickets are $15/person and are available from the Creekview Restaurant by calling(506) 488-9806. Seating is limited, so be sure to book ahead! Katherine will be performing with the Jon Fidler band at the Grimross Brewery, 600 Bishop Dr, Fredericton, NB. $10 cover. Come enjoy a free concert launching the 2018 Saint John Early Music Festival. The theme this year is "Scottish Muse". Saint John Arts Centre 20 Peel Plaza, Saint John, NB, free of charge. Join Different Folk and Irish dancers Siamsa for "An Evening at the Pub", and evening of Irish Music and dance. Tickets are not yet on sales, but will be available through the box office at the Playhouse. Join Katherine and Mark Fisher celebrating St. Patrick's Day at the Fiddlehead Lounge at Shannex Parkland. We will be performing and all Irish show. Shannex Parkland, 35 Patience Ln, Fredericton, NB. No cover charge. Come celebrate St. Patrick's Day at the Lunar Rogue with Different Folk! We'll be playing three sets throughout the day! The Lunar Rogue, 625 King St, Fredericton, NB. No cover charge. Come support a great cause by attending the fundraising dinner for Relay for Life at the Brundage Point River Centre. Entertainment will be provided by Different Folk. Brundage Point River Centre, 4 Ferry Rd, Grand Bay-Westfield, NB. Tickets $40/person and are available at the Medicine Shoppe at 317 River Valley Dr., Grand Bay, NB. Join Katherine and Tom Richards celebrating Tartan Day at the Picaroons Roundhouse in Fredericton, NB. 912 Union St.
Katherine Moller (fiddle), Tom Richards (guitar) and Kim Moller (bodhran) join the Bel Canto Singers in an East Coast Kitchen Party. Christ Church Parish Church (245 Westmorland St., Fredericton, NB). Adults $20, Families $40. Join Ensemble 18 C (Katherine Moller - Baroque violin, Tim Blackmore - Baroque recorder, Robert Lewis - Baroque bassoon) in a concert of music from the 18th century. Parkland in the Valley, 19 Shannex Dr, Quispamsis, NB. No cover charge. Join the Collegium Musicum (Katherine Moller and Hok Kwan - Baroque violin, Tim Blackmore - harpsichord) with guest Soprano Jessica McCormack in "What Can a Young Lassie Do? ", a concert of trios and sonatas for two violins and harpsichord by Scottish composers as well as a group of Joseph Haydn's settings of songs by Robert Burns. Saint John Arts Centre, 20 Peel Plaza, Saint John, NB. Tickets: $25 Adults, $20 Seniors and $10 Students. Join Different Folk in the launch of their first full-length CD "Live!". Grimross Brewing, 600 Bishop Dr, Fredericton, NB. Tickets $10, $20 including a CD. Tickets available at the door. Join Different Folk in the launch of their first full-length CD "Live!". Branch 69 Legion, 714 Wilson St., Saint John, NB. No cover charge! Katherine and Mark Fisher will be entertaining the residents of White Rapids Manor, 235 Sunbury Dr, Fredericton Junction, NB. Different Folk will be performing a concert in support of Queens County Heritage. Enjoy the historic Old Courthouse and an evening a Celtic/Maritime music. Old Courthouse, 16 Court House Road, Village of Gagetown, NB. Tickets $15. Call (506) 451-2107 to reserve yours! Different Folk will be performing at the Cultural Expressions Festival. Come enjoy music, dance, and food from many different cultures! Officers' Square (575 Queen St, Fredericton, NB). Rain Location - Fredericton Capital Exhibit Centre (355 Smythe St, Fredericton, NB). Katherine will be performing with Different Folk from 9:15-10pm and with the Jon Fidler Band from 10:15-11:00pm at DJ Purdy's at the Delta Hotel (225 Woodstock Rd, Fredericton, NB) as part of River Jam. Tickets: at www.Eventbrite.ca $22 in advance at Tony's music Box and Delta , $25 at the door. All proceeds support local music programs. Join Katherine and Tom Richards for an evening of Celtic, Old Time, and original music. Hazen Park, 15 Wharf Rd, Oromocto, NB. Rain location is the Hazen Park Centre, 994 Onondaga Street, Oromocto, NB. Free admission. Katherine will be performing as part of the Jon Fidler band at the York Care Centre (100 Sunset Dr, Fredericton, NB). Free admission. Ensemble 18C (Katherine Moller - Baroque violin, Tim Blackmore - Baroque recorder, Robert Lewis - Baroque bassoon) will perform a noon hour concert at the Saint John Arts Centre (20 Peel Plaza, Saint John, NB). Admission by free will donation. Join Different Folk in a free outdoor concert at the Pavilion in Hampton, NB. Free Concert! Katherine Moller and Tom Richards (guitar) will be performing at the Pedway Market on Carleton St, Fredericton, NB. Katherine and Tom Richards (guitar) will be performing at the noon hour concert series at the Christ Church Cathedral (803 Brunswick St, Fredericton, NB). Admission by free will donation. Join Katherine Moller and Tom Richards for their first appearance at the Campobello Fogfest! They will be performing at the Family Fisheries (1979 Rte 774, Wilsons Beach, Campobello Island, NB). Katherine will join the New Brunswick Summer Music Festival orchestra to perform a concert of classical favourites at Officers' Square (575 Queen St, Fredericton, NB). Rain location - Christ Church Cathedral (803 Brunswick St, Fredericton, NB). Free admission. Don't miss this exciting FREE concert showcasing two of New Brunswick's most talented emerging performing artists: Julian Bonner, mezzo-soprano (Saint John) and Vivian Ni, piano (Fredericton) St. Andrews Festival Orchestra, Hok Kwan Conductor. Sir James Dunn Academy, 180 King St, Saint Andrews, NB . Free admission. Ensemble 18C (Tim Blackmore - recorder, Katherine Moller - baroque violin, Robert Lewis - baroque bassoon) will perform a varied concert of music from the baroque and classical periods. Gallery 78 (796 Queen St, Fredericton, NB ). Admission: $20/adult, $15/senior, $5/student. Different Folk combines a melodious mix of Maritime music, folk-rock, and contemporary arrangements of Celtic favorites with a blend of beautiful vocals and lively fiddling. Tight vocal harmonies combined with a knack for having fun are part and parcel with this group. So come, join in, and sing along! Tickets are only $20 and seating is limited in the gallery at the Arts and Culture Centre of Sussex (12 Maple Ave, Sussex, NB). You can purchase tickets in person at AX, or over the phone 433-8351. Come enjoy a free concert launching the 2019 Saint John Early Music Festival. Saint John Arts Centre 20 Peel Plaza, Saint John, NB, free of charge.